Since writing the Companion to Narnia (HarperCollins, 1994; ISBN 0-06-251136-X), I have been asked many questions about the Chronicles of Narnia. This section of my website contains the best of my answers to these questions. People ask me, “How do I use your Companion to Narnia to study a particular book?” Read this file to find out the most important topics in each book of the Chronicles of Narnia. What do Narnians believe? This file contains a Narnian Creed which I composed in 1976 for the first ever C. S. Lewis’s Narnia workshop at St. Andrew’s Abbey, Valyermo, California. It is modelled on the Apostles’ Creed. The Canadian C. S. Lewis Journal asked me to write this fiftieth anniverary tribute to The Lion, the Witch and the Wardrobe. 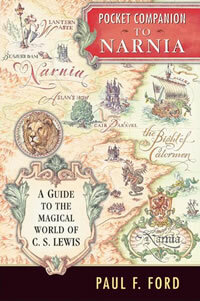 I discuss many things, including the proper reading order for the Chronicles of Narnia. I also make available a letter written to me by one of the girls who lived in C. S. Lewis’s home, the Kilns, during World War II. My thanks to The Canadian C. S. Lewis Journal and its late founder Stephen Schofield for all the years it was published! What is the proper reading order for the Chronicles of Narnia? Since 1994 the books have been marketed according the order of the internal chronology, which is the least helpful way into Narnia. Rearrange the 1994-on editions by “Remembering ‘245-3617.’” See also LWW 50th appreciation.pdf, above. 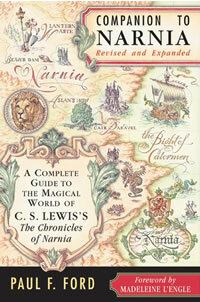 The decision in 1994 to make the British editions of the Chronicles of Narnia the standard for the world suppresses the few but significant changes C. S. Lewis made for the American editions, especially to the ending of Chapter Twelve, “The Dark Island,” in The Voyage of the Dawn Treader, which you can read and compare by double-clicking this file. The reasons for the changes in Chapter Twelve are in Companion to Narnia, under “Dreams.” All the variants are listed at the end of the section, “Using The Companion,” in the 1994 edition, pages xli–xlii.